Pale men, lack of women make UK spy agencies less attractive? 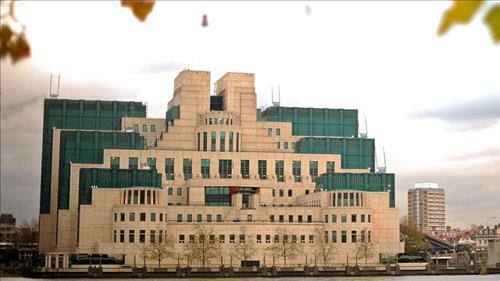 AMMONNEWS - British spy agencies came under strong criticism on Thursday after a parliamentary committee report revealed the lack of women and ethnic minorities in senior positions. The report revealed that the communications monitoring agency GCHQ had two senior ethnic minority employees and was the only of the three main intelligence organizations to have any black, Asian and minority ethnic (BAME) managers. In addition, the report by the Intelligence and Security Committee (ISC) found that only 31 percent of domestic spying agency MI5’s senior staff were female, with the overall average across security services at 25 percent. The chairman of the ISC, Dominic Grieve, emphasized how “it is important that the UK intelligence community is able to attract, and draw upon, the skill, talent and experience of all sectors of our society -- to reflect, protect and promote our values, and keep our nation safe”. The head of foreign spying agency MI6, Alex Younger, was quoted by The Independent as saying that the lack of diversity risked creating “groupthink”. “Groupthink is manifestly more likely to happen when you have the same sort of people seating around a table, so I also think in terms of quality of our decision making, it is absolutely key,” Younger was quoted as saying. A Government spokesperson said the spy agencies “have made significant progress in recent years, but there is clearly more to do”.